Anyone who’s ever seen me talk will recognise my stock slide template… but this will be totally new, I promise! I’ll be synthesizing the main results of my whole thesis for the first time. I can’t wait to get some feedback and hear what people think! 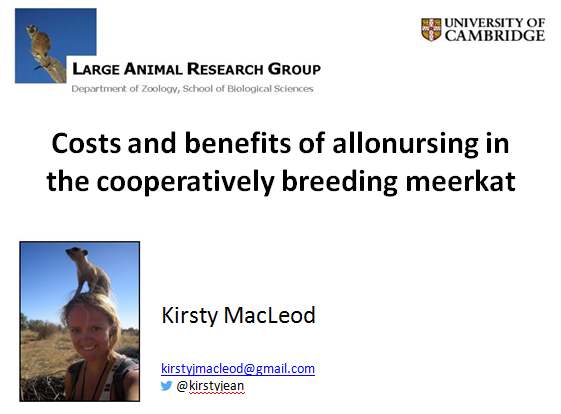 If you’re coming to ISBE, I’ll be presenting in one of the (many!) social behaviour sessions, on Saturday at 4:50 in room HN 1036. See you there!